More than 95,000 people took part in the first immigration lottery to win a spot to bring their parents or grandparents to Canada. With only 10,000 spots available, that put the odds at roughly one in 10. More than 95,000 people took part in the first immigration lottery, hoping to win a spot to bring their parents or grandparents to Canada. With only 10,000 spots available, that put the odds at roughly one in 10. Immigration, Refugees and Citizenship Canada brought in the new lottery process this year to replace the former first-come, first-served system. The change aimed to make the system more fair and transparent after complaints the process was skewed by geography and an applicant's ability to pay a lawyer or other representative to get to the head of the queue. Between Jan. 3 and Feb. 2, sponsors could fill out a web-based form to take part in the lottery, and the Immigration Department says the number who participated reflects the "popularity" of the parent and grandparent program. "This is the first year this new process will be in place, so we will monitor results to see if adjustments are needed for next year," said spokesperson Carl Beauchamp. Of those who filled out the online form, Immigration randomly selected 10,000 sponsors and sent an email inviting them to submit an application. The department also contacted those who weren't picked to let them know about the results. The family reunification program has been plagued with massive backlogs in past, as the number of applicants far exceeded the limited number of spots. The logjam peaked in 2011 with a backlog of 167,007 applications, which had decreased to 40,511 by the end of 2016. Immigration lawyer Matthew Jeffery said the lottery system is fraught with problems, including confusion over who is eligible to sponsor whom. One woman called his office to say both she and her husband completed the form, and that he was picked in the lottery but wanted to sponsor her parents. "My sense is that it was a very poorly thought out system," Jeffrey said. "What this example tells me is that there will be a lot of unqualified people taking up the spots that should have gone to qualified applicants. There was absolutely no vetting to see if the person enrolling for the lottery was qualified to actually sponsor." Dory Jade, chief executive officer for the Canadian Association of Professional Immigration Consultants, said the lottery system makes the process more transparent and gives people equivalent chances, but noted there are some glitches. He has heard of many cases of people being selected who don't qualify to be sponsors. Some representatives have received emails saying they were selected, without referencing the name of the client. He has only heard of early cases, so does not yet know the scope of the problems. "It could be the tip of an iceberg," he said. Last year, the government doubled the number of sponsorship spots for parents and grandparents to 10,000 from 5,000. Those 10,000 applications are expected to lead to 17,000 sponsored people, because an application can be for more than one person. 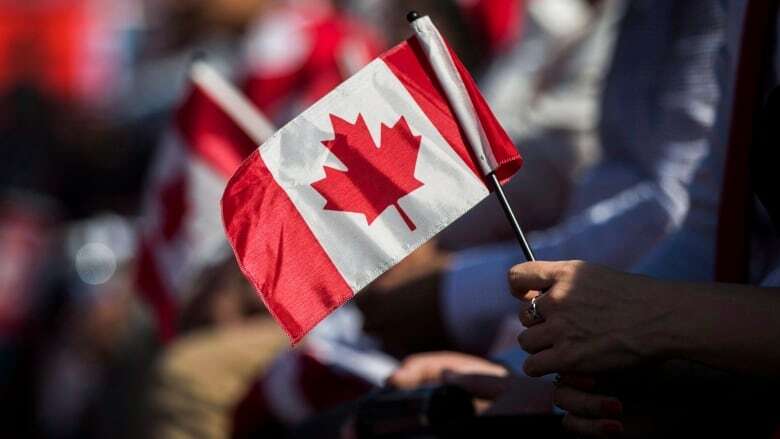 Parents and grandparents of Canadian citizens or permanent residents can also apply for a super visa, which allows them to extend a visit for up to two years after the initial entry into Canada. A 10-year multiple-entry visa allows several visits of up to six months at a time.